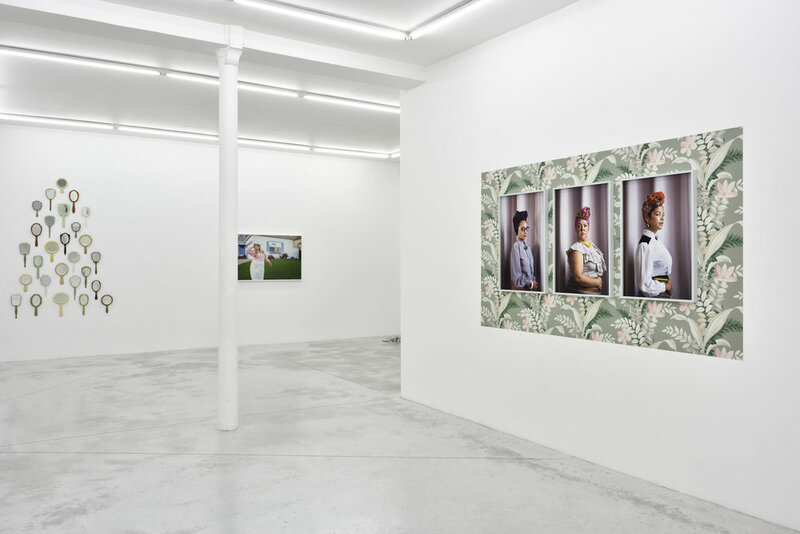 Praz-Delavallade Paris is delighted to present the first exhibition in France of Genevieve Gaignard. Born and raised in a Massachusetts mill town to a white mother and black father, Gaignard grew up between two cultures. While enrolled at Massachusetts College of Art and Design, she experimented with photography and collage, investigating racial dynamics through composed environments and fabricated characters. Following her graduation from Massachusetts College of Art in 2007, she was accepted to the prestigious Master of Fine Arts program at Yale University. 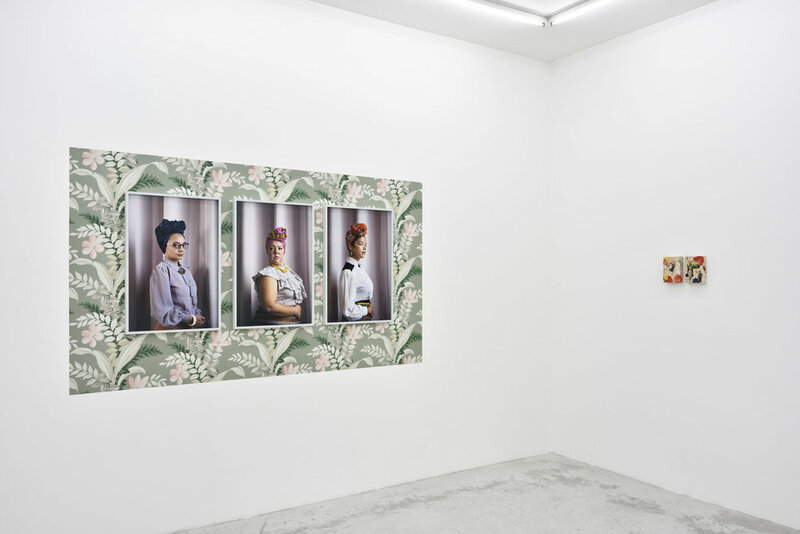 Over the next two years Gaignard continued to explore notions of identity through parafictional photographic self portraiture, video, sculptural elements and installations. Influenced by the soulful sounds of Billy Stewart (a singer and pianist from North Carolina who was prominent in the 60s), the kitschy aesthetic of John Waters and the provocative artifice of drag culture, Gaignard uses low-brow pop sensibilities to craft dynamic visual narratives. She blends humor, persona and popular culture to reveal the ways in which the mixing contrasting realities can feel much like displacement. Gaignard positions her own female body as the chief site of exploration – challenging viewers to navigate the powers and anxieties of intersectional identity. Gaignard mines social media culture for cues to stage her photographs, transforming herself as various archetypes of women. 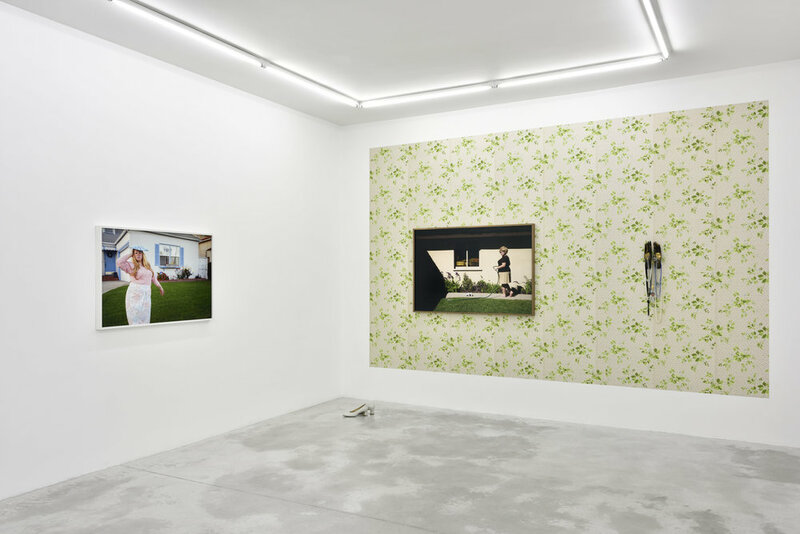 Her work is often displayed in equally camp installations; environments laden with objects and signifiers that express an intimate portrayal of race and gender. “Art is a powerful tool for social change” confirms Gaignard, having said that she wishes we didn’t have to rely on things like art to understand that black lives matter. However this is not the reality that we live in, she says, “I hope to create a visual language that is both accessible and unforgiving in articulating the importance of black identity. With my light skin comes privilege and I am committed to not getting complacent with that privilege”. 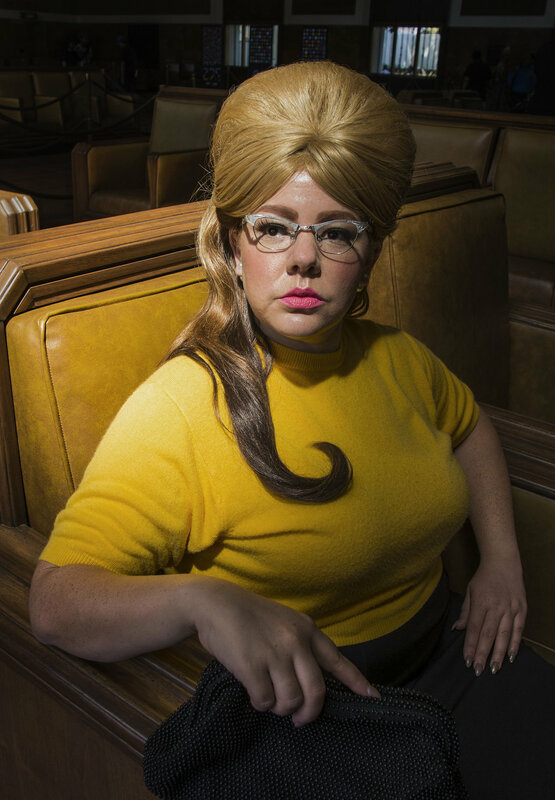 Genevieve Gaignard received her BFA in Photography at Massachusetts College of Art and Design and her MFA in Photography at Yale University. 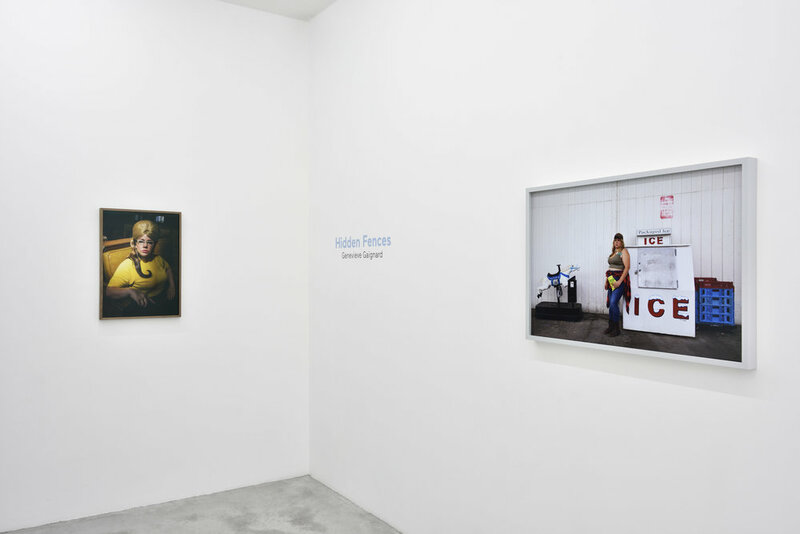 She has exhibited throughout the United States, including shows at the Studio Museum in Harlem, the Houston Center for Photography, and the California African American Museum. In 2017, she was included in the Prospect.4 triennial titled The Lotus in Spite of the Swamp, New Orleans. Gaignard’s work is included in prominent US and foreign private collections.